This upright bike is a useful tool as part of your cardiovascular workout if you are looking for a low-impact lower body exercise. 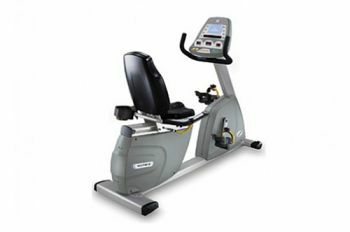 With an easy to use console equipped with colour-coded tactile function button and wide pedals with high visibility pedal straps to prevent foot slippage, this machine is a great addition to the CitySport gym. This product is on the list of IFI’s accredited items that are designed and tested to enable disabled and non-disabled people to benefit from a full-body, cardiovascular and resistance-based workout.